Rectangle sterling silver link chain. 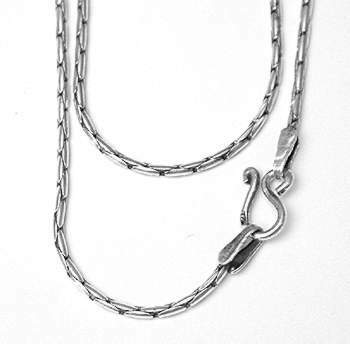 Clean links make for a sturdy yet delicate appearance. 1mm diameter, weighs about 2.5 grams. Made in Thailand.